it on Sunday 31st March 2019 – tickets available today! Check one Concert from your bucket list. 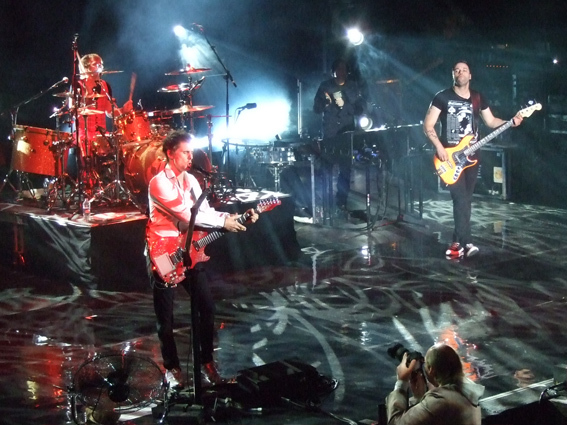 The Muse tour caravan is headed towards Canada and has pinned Quebec City as one of the stops for the limited engagement run of Muse . If you've been dreaming of witnessing the awesome spectacle that wowed audiences from all over, it's time to wake up and get on the move to book a ticket before this show sells out. With our fast, easy, and user-friendly ticketing system, securing your seat is a breeze. What are you waiting for? Just make an easy click 'get or buy tickets' now.